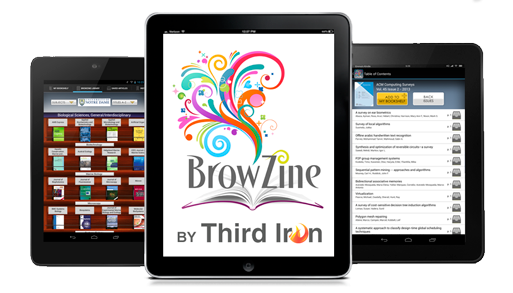 BrowZine is a tablet application that lets you browse, read and monitor thousands of scholarly journals available from the UC Berkeley Library. Browse scholarly journals available from the UC Berkeley Library on your tablet device, iPhone, or via the Web using BrowZine. BrowZine allows you to browse scholarly journals available from the UC Berkeley Library or from open sources on your tablet, iPhone or via the Web. Download BrowZine articles to Box.com, Mendeley, Zotero, and other services to help keep all of your information together in one place. When an online scholarly journal is not yet accessible via BrowZine. BrowZine currently has agreements with a wide range of scholarly publishers but not necessarily all that provide journals available online at UC Berkeley.